There are multiple causes for damage to asphalt and concrete roads: Roads that are designed improperly, excessive use and damaging environmental influences are a drain on public finances. The weakest points in roads are joints, seams and connections in asphalt and concrete. Joints are spaces between two asphalt or concrete layers, or between their layers or components, such as kerbs, manhole covers etc. These joints are either intentional or necessary for the working situation in question. Seams are contact surfaces that are created when asphalt mix is laid in lanes, alongside or near to breaks in the application of the asphalt (longitudinal or lateral seams). Connections are contact surfaces between different asphalt mix types (e.g. rolled asphalt & poured asphalt) or around components, e.g. near kerbs, plaster etc. It is crucial that premium products protect these weak points. By using high-quality solutions from DEKOTEC, asphalt and concrete roads can permanently and safely withstand the diverse loads they endure. TOK® products boast a long-service life; they are designed with the user in mind and are quick to apply. 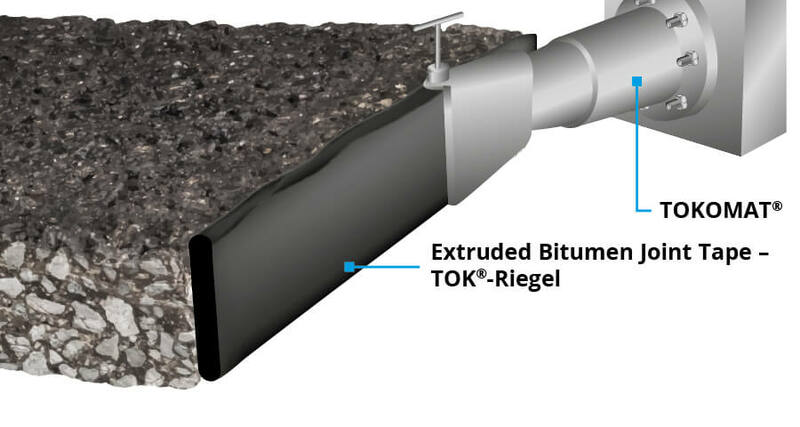 For decades, TOK® bitumen joint tapes have proven themselves as the ideal solution for joints and seams. The tapes possess exceptional stretching and adhesion properties and can be applied cold (self-adhesive) or using a burner. 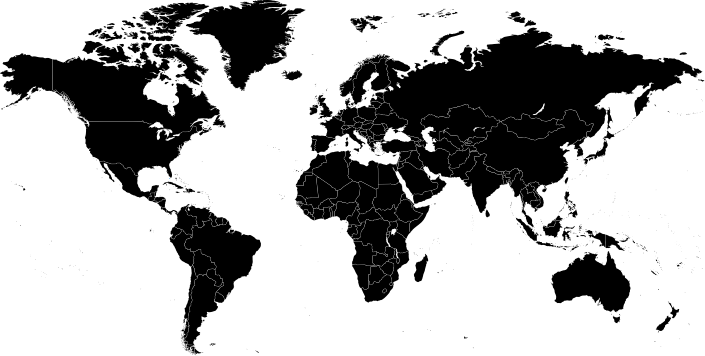 Many TOK® tapes do not require you to go through the time-consuming process of applying a primer, which saves a significant amount of time and money. 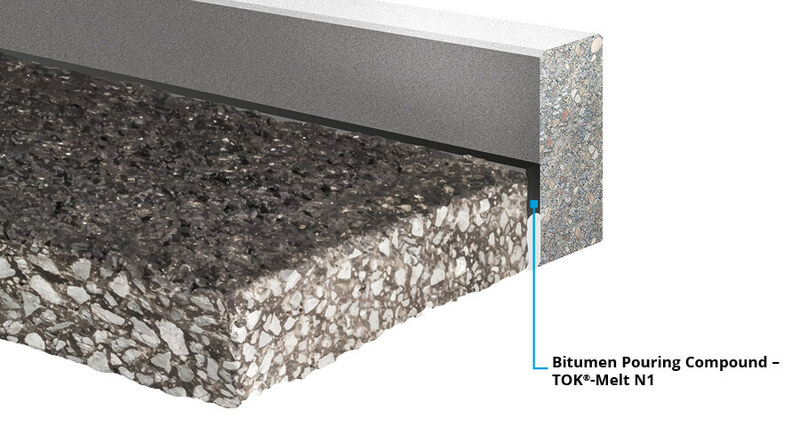 Our TOKOMAT® enables fast and reliable finishing of joints on milled and cut edges, particularly on motorways and national A-roads. 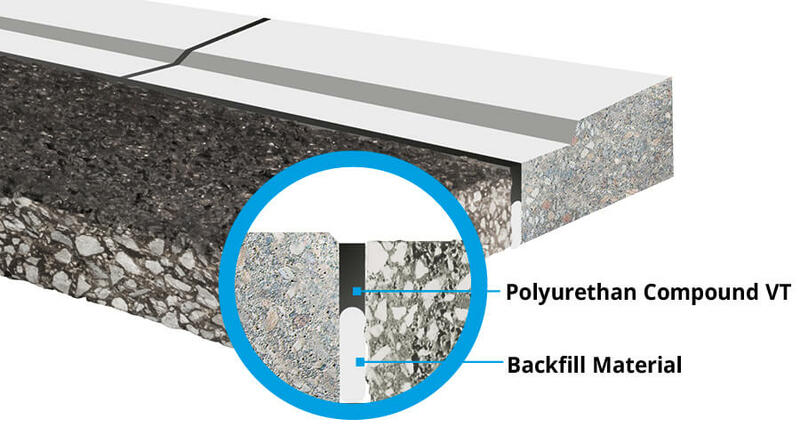 The machine-extruded bitumen joint tape creates a joint that is appropriate for the profile and height, even on poorly processed surfaces. With an application rate of around 15 m per minute, TOKOMAT® is an exceptionally fast and precise solution. 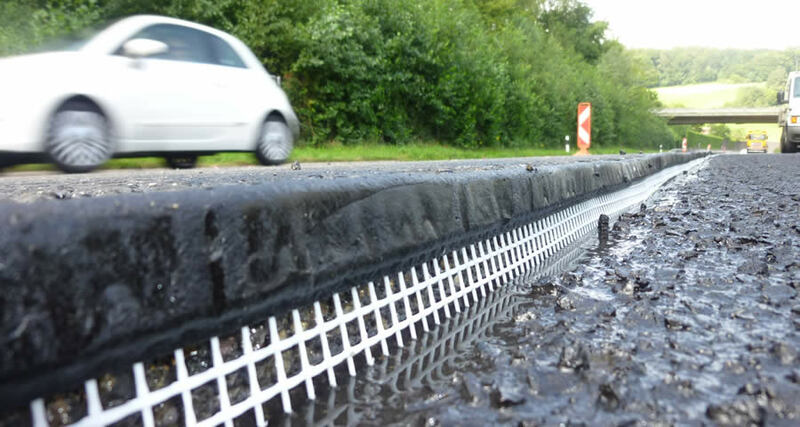 Seams must be painted over with polymer-modified bitumen or a bitumen-based binding agent. 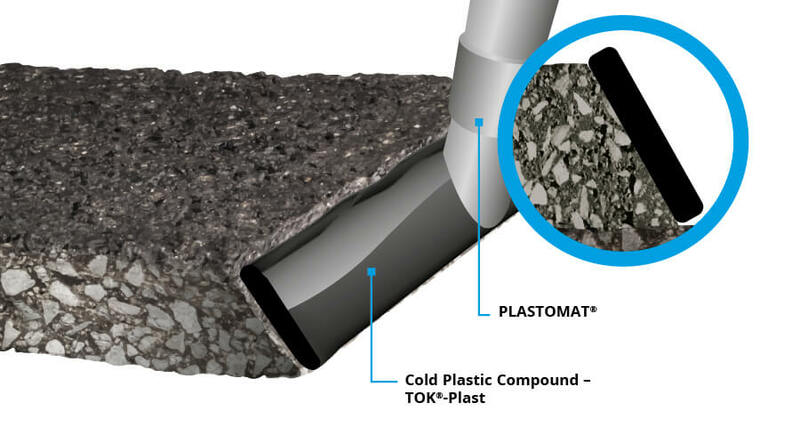 TOK®-Plast is a cold-processed, stable material made from polymer-improved bitumen, making it ideal as a permanent seam treatment. Using the PLASTOMAT®, developed specifically for this product, TOK®-Plast is easy and quick to apply. LIQUITOL®-VT is the ideal solution to protect joints against the ingress of petrol and aircraft fuels, heating oil, diesel, unused oil and inorganic lyes. LIQUITOL®-VT is solvent-free and ETA-certified, for use in storage, filling and transport applications and in manufacture, treatment and usage settings. 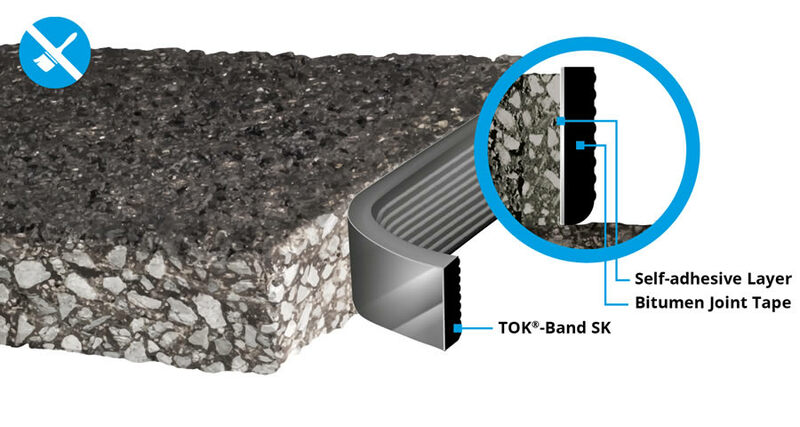 If joints are cut into asphalt or concrete surfaces at a later stage, they can be filled with the hot pouring compounds TOK®-Melt or REINAU®. These products are also used as crack filling compounds or rail bedding compounds.